The LA12-18 Mini Line Array Tower by Applied provides style, function and value for flying a variety of newer, compact line array speaker systems. For lifting the speakers, a hand winch is standard, however the towers are designed to accommodate a CM 1/4-ton or 1/2-ton electric chain motor. These towers provide the perfect solution for a corporate meeting or an outdoor festival and are a great addition to any production inventory. One Tower Lifting Arm is provided with every pair of LA12-18 Mini Line Array Towers purchased. The Applied LA12-18 features a compact design for easy transportation, storage as well as being able to fit tight to a stage or a wall. It is easy to set up and level. The tower has a load capacity of 750 lbs and is certified by a structural engineer. 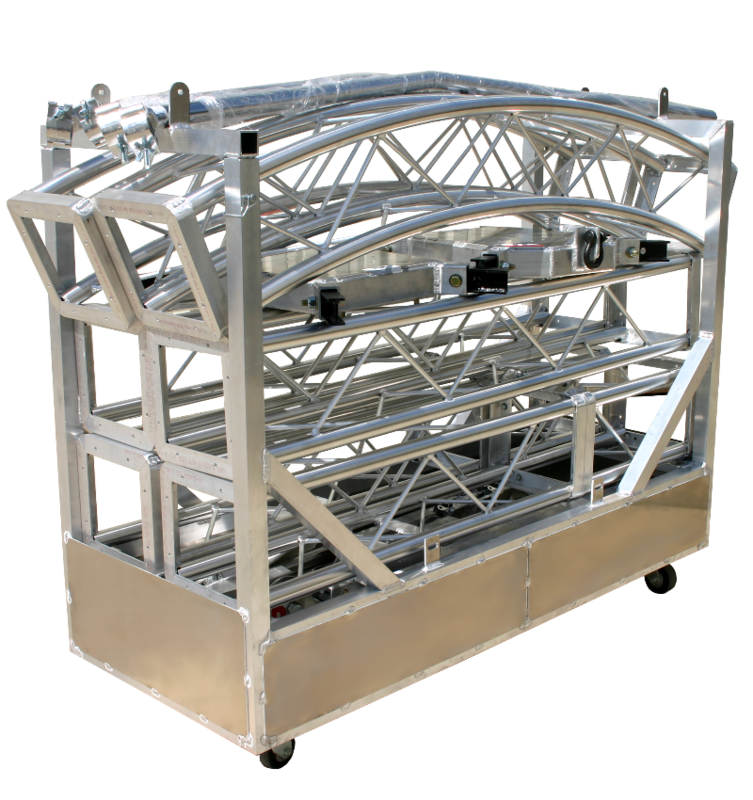 Applied also offers, a storage cart that will store and transport two LA12-18 towers.